One of our goals, as a leading supplier of metal roofing systems in North Carolina is to provide you with the resources you might find helpful as you evaluate the best roofing solution for your family. Many homeowners throughout North Carolina and across the nation are upgrading their outdated and ineffective asphalt shingles to investment-grade metal roofing. Read more about why metal roofing is a better option than asphalt and other materials here. Let’s take a quick look at some of the major benefits of metal roofing. Metal roofing starts saving customers money from the first day it is installed. 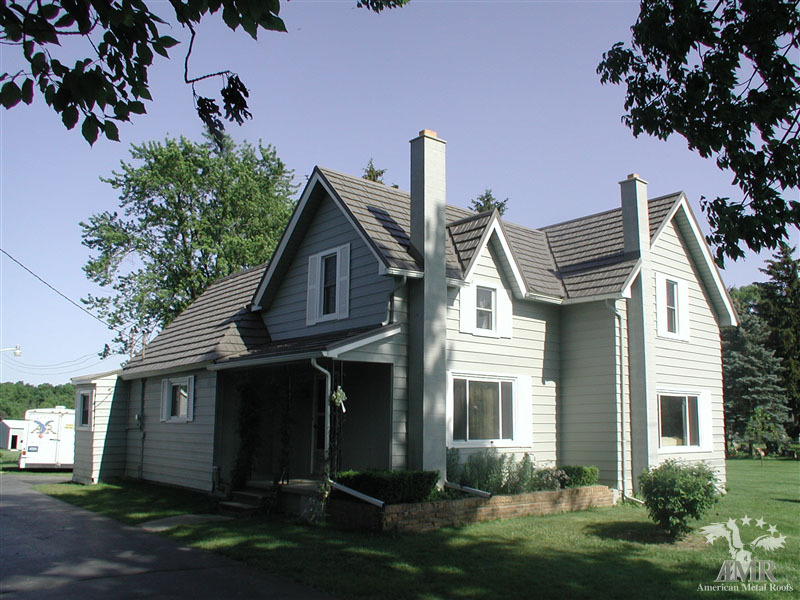 Metal roofing in both light and dark colors reflects heat. This keeps homes cooler in the summer and will also help insulate during the winter months, reducing energy bills. The secret is in the highly reflective and highly emissive paint, which can re-emit up to 90% of absorbed solar radiation. Many owners of metal roofing have reported a reduction in energy costs of 20% or more. Investing in Metal Roofing is the “Green” roofing choice, not only because it saves homeowners money on energy. An estimated 20 billion pounds of waste is added to American landfills every year from conventional roofing materials such as asphalt shingles. Metal roofing is designed to last a lifetime. But what many people don’t know is that it can often be installed directly over an existing roof, eliminating the expense and environmental impact of tear-off and disposal. Metal Roofing can last for fifty years or longer, without losing its beauty or integrity. Consumers report that longevity is the number one reason they choose metal for their homes. Since an asphalt roof needs to be replaced 2-4 times as often as metal roofing, metal has become the go-to roofing solution for the consumers seeking the best value. Simple calculations illustrate how metal roofing over the cost of its lifespan will cost less than asphalt. Factoring in the maintenance, repair and replacement costs of asphalt, along with the value of energy-savings metal, a move to metal roofing becomes very attractive. Quality & Beauty.Investment-grade, high quality metal roofing systems come a variety of beautiful colors and styles. Quality that looks great and lasts for a lifetime. Energy Efficient & Eco-friendly. An energy-saving, heat-reflecting metal surface saves money. Designed to cover existing roofing material, it also reducing environmental landfill waste. Long Lasting, Durability. Mother-nature tough, a permanent metal roof will last for many decades. Most asphalt roofs last 10-12 years. Maintenance-Free. Metal roofing is virtually maintenance-free – it will never split, mold, crack, or rot like many other roofing materials. Best Value. Metal roofs increase the value of your property while saving you money each month. Metal has been battle-tested against Mother Nature for decades. High winds, intense sun, hard rains, hail and snow will take their toll on an average roof. Weather breaks down materials over time, leading to the need for repair or premature replacement. Even the harshest climates and most brutal coastal storms are no match for the stability of metal. This is the primary reason why many homeowners are upgrading to metal. The Sun radiates intense heat hour-by-hour day after day on rooftops. The summer months can be especially daunting to a roof made from traditional materials. The sun’s rays play a huge role in the degradation of most roofing systems. Roofs dry out, become brittle, and crack with age, leading to costly damage or water breach. Metal roofing systems are completely immune to the impact from solar radiation. Metal Roofing will never curl, crack, or become brittle when exposed to heat. Today’s coating technology helps to protect homes from heat by maintaining the roof’s integrity and vibrant color. Snow and ice and debris can cause havoc to roofs. The best roofing material to keep homes dry and prevent damage or collapse is metal. Metal Roofing is able to shed snow and debris quickly. Snow loads shed as sun passes radiant heat through the snow, warming the metal. Metal Roofing products are designed and available to handle all the snow and ice that Mother Nature can dump on a metal roof. People often wonder if metal roofs attract lightning. Metal conducts electricity but it does not “draw” it. 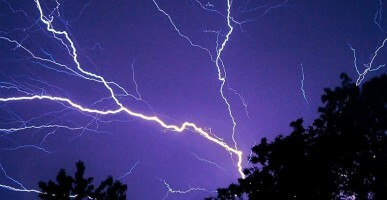 Lightning will typically hit the highest object around and rarely is that the top of the house. Additionally, a lightning protection specialist if desired can ground metal roofs. Metal Roofing products have been tested for wind resistance in laboratory settings as well as in the real world. Studies have indicated that a 30-year old metal roof can withstand the same level of wind as a brand new metal roof. No roofing material comes close to this ability. Metal roofing stands up to hail. In the most widely accepted hail-resistance test, a steel ball is dropped to simulate the effects of hail’s impact on roofing materials. Metal roofs pass U.L. 2218 at Class IV. This is the highest rating! As a result, in many hail-prone areas, homeowners with metal roofing can receive insurance premium discounts. Another significant advantage is that metal roofing resists hail even after many decades. Other roofing materials become more susceptible to hail damage as they age. When it comes to mitigating the risks fire damage, metal roofing is the best option. Metal resists airborne sparks and burning debris from chimneys, fire pits or wildfires. Many homeowners save money on insurance premiums after upgrading to metal from a wood shingle or shake roof. As an added advantage, the low weight of metal roofing significantly reduces the risk of roof collapse if there is a fire inside the house. This can provide firefighters with more time to help save the home and its contents.